"In particular, we use this as a basis to develop services for the agrofood industry and farmers growing potatoes and other crops, as well as information on how vegetation changes over the year," explains Eva Haas, Head of GeoVille's Agricultural Unit. The land-cover dynamic layer was produced with GeoVille's processing engine LandMonitoring.Earth, a fully-automated land-monitoring system built on data streams from the Copernicus Sentinel-1 and Sentinel-2 missions, as well as ESA third party missions such as the US Landsat. 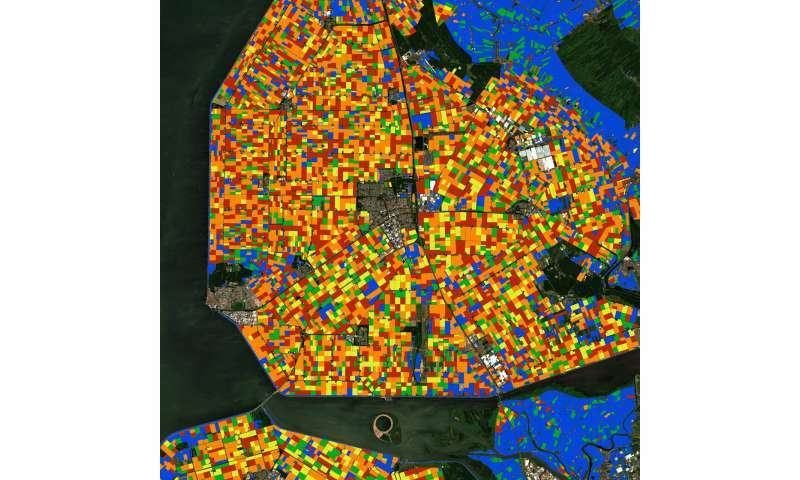 "Using the system, we processed the complete Copernicus Sentinel-2 image archive along with artificial intelligence, machine learning and big data analytics," explains Michael Riffler, Head of Research and Development at GeoVille. 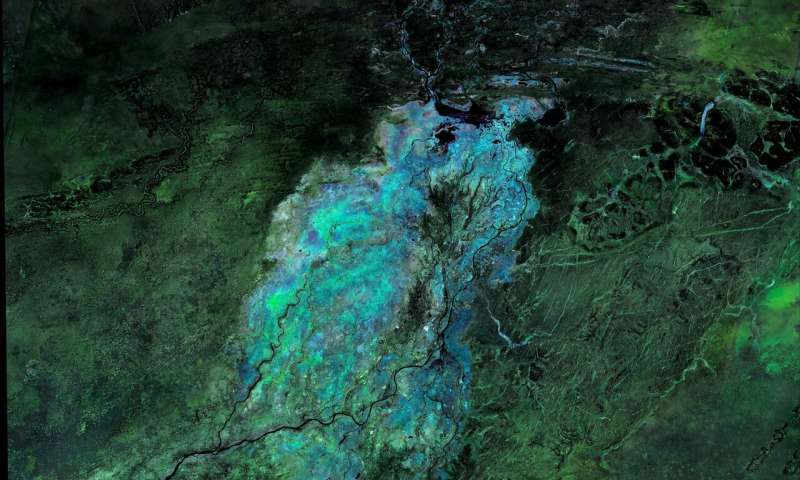 "However, the key is the dense time-series of the Copernicus Sentinel-2 data which allows this information to be retrieved for the first time. To date, we have processed more than 23 billion pixels." The development has been done through ESA's Earth observation innovation hub – ɸ-lab, and has been implemented by GeoVille and its subsidiary in the Netherlands – GEO4A. 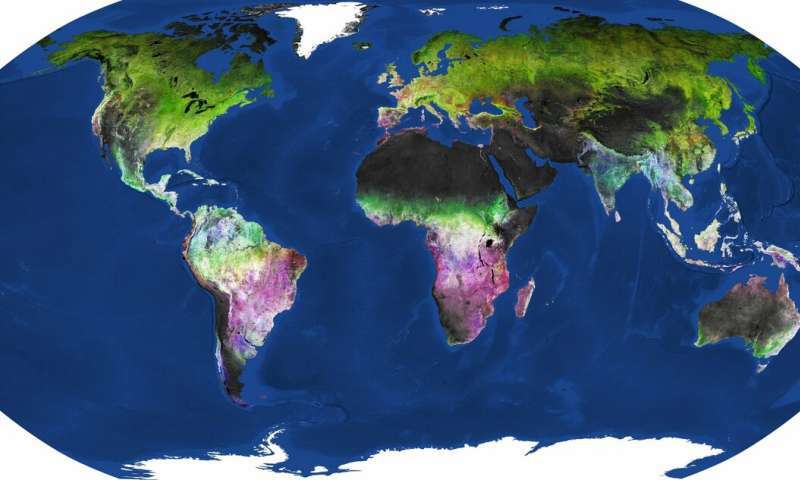 "This map forms an excellent foundation for other – more specialised – land cover classifications, whose development and deployment can be further accelerated by applying machine learning and AI," says Iarla Kilbane-Dawe, the head of ESA's Φ-Lab in Frascati, Italy.